Canadians have a choice about where their 'social capital' will go - to the government or to charities of their own choice. What is social capital? It's the outstanding taxes owing on your RRSPs and RRIFs, the capital gains owing on other assets like portfolios, business interests, real estate holdings, etc. and the personal income taxes that will be owed on your last tax return. 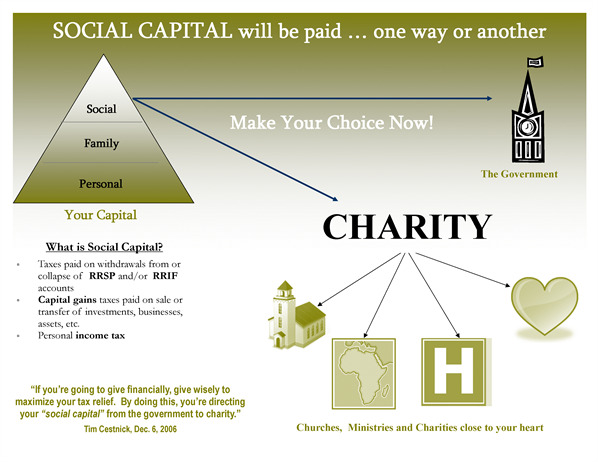 Naming charity as the beneficiary of registered accounts and preparing a Will that includes plans for giving will reroute this social capital from going to the government, to going to charities and ministries close to your heart. God's kingdom work will be blessed! 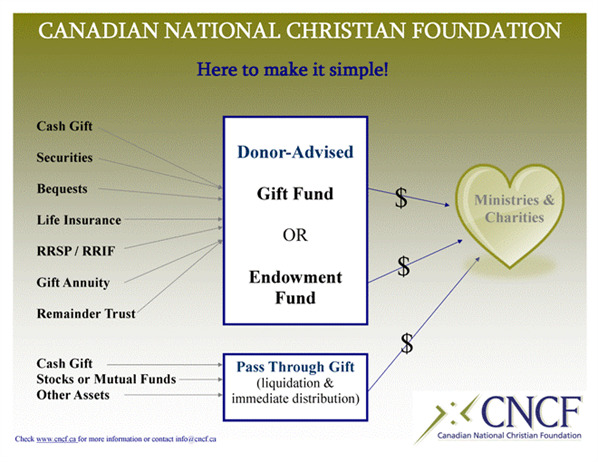 For giving through your estate, a relationship with a Christian public foundation such as CNCF will allow you maximize your giving, diminish the work of your executors, provide a vehicle for your family to continue your giving - and more - and all with the confidence that you are placing the assets God has entrusted to you into the hands of an organization that is committed to connecting God’s money with God’s work and is invested in building the Kingdom from generation to generation.